You will not believe where we were two Fridays ago? Go ahead, guess. You'll never believe it! At the taping of the Nate Berkus show where Mr. Limestone and I are guests! Ok, we're only on screen for a minute but that still counts, people! We even got to sit in the green room, go to hair and makeup, the whole bit. It was a total whirlwind. Earlier in the week one of the producers emailed asking if I would be interested in featuring a room in our house. (Of course!) Lots of back and forth and me wondering what I was going to wear later - it was all over by Friday afternoon. ...but I had to run out and get to work so I didn't have time to beg for one. In any case, it was a totally surreal, exciting and fun experience. Not sure when it will air but I'll make sure to let you know as soon as I know. (Rumor has it that its next Monday Oct 25) Thus ends our brush with fame. ps: And as if standing next to Mr. Nate Berkus himself was not enough, I even got to meet Sherry and John of Young House Love. In case you are wondering, they are just as sweet and charming as you'd expect. oh wow, sounds like so much fun,a nd really exciting!! So cool! Can't wait to see the show...I'll be checking my DVR daily! Woooohoooo!  Way to go, Mrs Limestone. Yay! Couldn't have happened to a nicer person. It's pretty neat that Nate's staff is pulling from the design blog community more and more these days! So cool! I don't know what's more awesome - meeting Nate or John and Sherry! Love them all! Congrats to you! So wonderful to see talented people recognized for their work! How fun!! You look fabulous too! You've really got me interested in which room was picked. You are such a Rock Star! Can't wait to see it! OMG Stephanie! I'm excited for you! I'm sure you did great. Janell was nervous about her taping, but she did a fantastic job! That's exciting! Congratulations! Look forward to seeing you and your gorgeous limestone on t.v. Can't wait to see it!! Plus meeting another set of fabulous bloggers what a bonus! Wow that is awesome! Can't wait to see the show. How fun!!! Congrats to you! Glad to see he's giving out some blogger love. Weee! I knew there was a segment with a deco blogger but I had no idea it was you. How exciting! How wonderfully exciting! I can't wait to see the clip. I'm sure you were fabulous! Great picture of you with John and Sherry! So exciting! And good for the show to recognize how great your house is. Congrats! I need cable. I will be sure to watch, this is awesome news!! That must be so awesome to start a blog and watch it grow into something this big. Congrats for you!!!! Now Mr. Nate has class!! Yay for you guys! Woohoo! Can't wait to see it! Stef, Sherry, and John?? It's the blogging trifecta! Keep us posted on the show's date so we can set our DVRs! Ok how exciting is that!! No surprise though your place is amazing! Can't wait to see it!! Totally Cool! I am nto sure if we get the show out here in Utah. I'll have to find out and watch! What room did you feature OR is it a surprise? Wow, congrats to you!! Just popping over from YHL and looking forward to checking out more of your lovely blog! Niiice!! You look smashing, S!! I thought that you were going to be on the show:) I can't wait to see it. Congrats! I'm doing the happy dance for you!! SO exciting! Can't wait to see it! Oh my goodness, SO happy for you! Glad they're pulling form the blog community. I, too, was contacted for something totally different, but the segment was cut at the last minute. Talk about a MAJOR bummer! How fun!! I had a blast when I got to tape a segment with him and I can only imagine how much fun it would be to do a segment with your husband AND Nate!! Can't wait to watch the show! Conratulations! How totally exciting- I can't wait to watch!! Woohoo!! I can't wait to watch and see what you sound like (and see the Mr.!) in real-life!! I am so happy for you! Your home beats anything I am sure they will feature on their show! COngrats!!! I can't wait to watch the episode!!! So exciting!! You look fantastic! I cannot wait to see the episode!! I agree with everyone else in their congratulations :) Please tell us more about it when it's time! Holy WOW!!! Can't wait to DVR the heck out of it! This great news! I am thrilled for you. Can't wait to see the segment. Very cool! I've been behind on my blog reading but so glad I read this so I'm sure to stay tuned for more info! congrats!! That pic of you and pretend NATE...cracks me up..! ha! So, so, so exciting! What a fun experience! I can't wait to watch the show - a big congrats to you:)! Congratulations - how amazing! I wish the show aired in Richmond, bummer! Lucky lady! Congratulations - you will have to let us know when it will air - well deserved!